Interesting mystery...good main character, Kellie Montgomery, with a 'daytime' job that's a bit different. She's a sailing instructor with a charter sailing service. This was a good mystery. There was lots of sailing information and the locale is not too far from here. 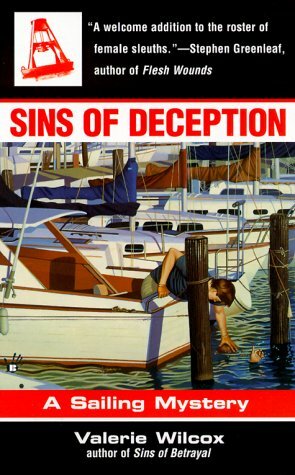 I liked the main sleuth and would like to read her other two books as well. There is lots of action and a few twists and turns to keep it interesting. Released this at work for The Never Judge a Book by its Cover release challenge week #6 (red lettering on front cover) and for the 2007 Keep Them Moving release challenge. Enjoy! Taken from the bookshelf at work and moved to Starbucks OBCZ shelf. Enjoy!